At Mercy Dental we love families! We know that moms are the glue that holds a family together. You’re the CEO of the family, usually controlling schedules, eating, shopping, sports, carpool, bedtimes, and much more. Dads play a huge role in all of this as well, and next month we get to give them a huge shout out as well. Families are awesome! Your kids are such a big blessing, we know. We love seeing them in our office as well. Have you ever thought about making a fun outing, and booking a family block dental appointment? Maybe you’re not aware that Mercy Dental offers this type of convenient scheduling. 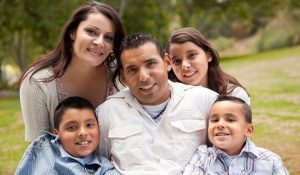 Family block dental appointments promote families. These appointments provide another way for you to create positive dental experiences with every member of your family at the same time. Save time and gas. No need for multiple trips to and from the dental office. One trip, and you’re done. You can model how fun and easy it is to visit us at Mercy Dental. Your children will value from seeing how you bravely conduct yourself at your appointment. The waiting room and dental office will be filled with your biggest fans. Your family is one big team, helping and cheering one another on. Why not bring your biggest fans with you to help navigate your appointments well. You can all go out for a celebratory treat afterwards to congratulate every member of your family on a job well done! Book your family block dental appointment with us today!